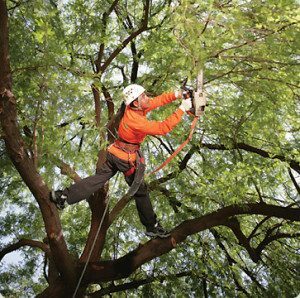 Tree Trimming and Pruning | Lewis Tree Service Inc.
At Lewis Tree Service Inc., we offer full-service tree trimming and pruning services throughout Santa Cruz and Monterey. In addition to providing a broad service area along the Central Coast, we are able to handle virtually any type of trimming or pruning job, whether it’s one tree in your yard, or an entire orchard of fruit trees. One of the simplest answers to this questions is, “Because they are healthier, live longer, and look better.” However, there are a number of other reasons why it may be a good idea. A properly trimmed tree can also reduce the risk of disease and the possibility of damage from high winds or extreme weather. And finally, regular seasonal pruning is a great way to improve and strengthen the structural support of the tree. For more information about why tree trimming is important, read this resource from the Federal Energy Regulatory Commission. Have a question about trimming or pruning services? Call us today at (831) 508-8995 to learn how we can help! Our expert staff can help with any type of tree service, no matter how large or small–contact us for a FREE cost estimate from an ISA certified arborist!